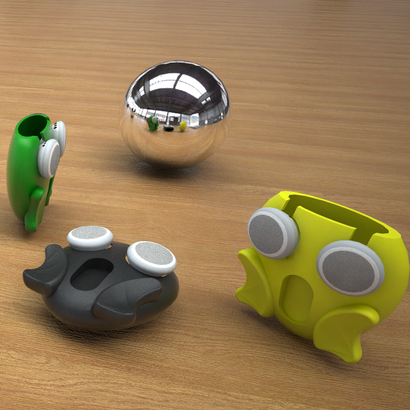 Welcome to your future 3D printed Accessories, Puzzle, Tablet Cases, iPhone cases! The Face was designed and sold by TungsTeno Grafismo so you are able to personalize it, make it as you wish then use it often! Select more than seventy five various 3D printing substances to personalize your 3D printing prototype so it matchs your way of life or the need and lifestyle of the person you want to gift it to. Pick out the 3D printing component which your wish, the color that corresponds to your disposition, the length, height, and width you need your The Face in and you will have it 3D printed very quickly. Thanks to our marketplace, you are able customize this design invented by TungsTeno Grafismo and spontaneously get an observation of how the 3D printed object will be. If you happen to be uncertain or aren't a 3D printing specialist yet, we will also give you ideas to optimize your The Face and make the most of the genius TungsTeno Grafismo place in it to realize a truly exceptional and personalized Accessories, Puzzle, Tablet Cases, iPhone cases. Wheather you want to have The Face 3D printed for your own use or for a friend you will let you to track it until it comes to you. You could adjust the details of this 3D model and personalize bits to really doubtlessly a one-of-a-kind article, do not hesitate to add tweaks and make this 3D printing design even more special and fitting your temperament. 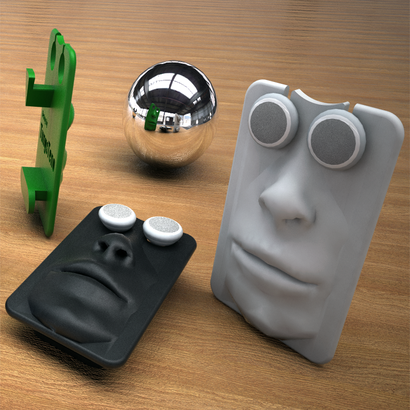 And if you like The Face, do not forget to check out the others 3D models created by TungsTeno Grafismo to design other unique 3D printing projects!